One of the wise men surpassed in wisdom by King Solomon (I Kings iv. 31). He is mentioned, with Ethan, Heman, and Chalcol, as a son of Mahol. In I Chron. ii. 6 he is called "Dara," the son of Zerah. 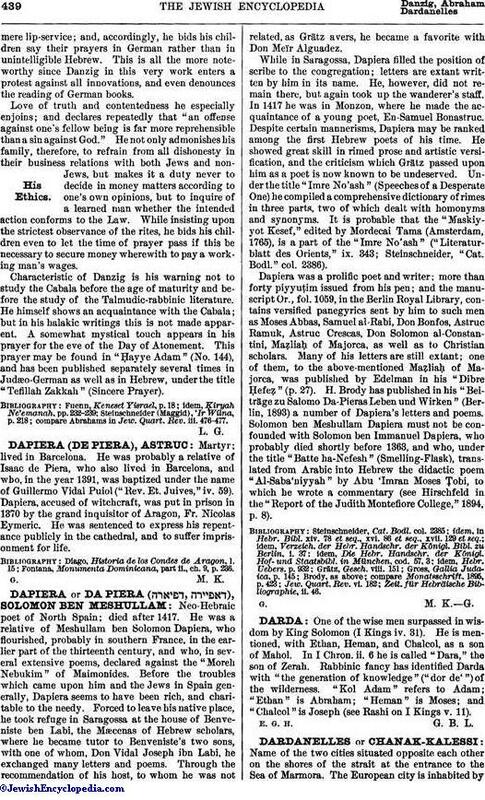 Rabbinic fancy has identified Darda with "the generation of knowledge" ("dor de'") of the wilderness. "Kol Adam" refers to Adam; "Ethan" is Abraham; "Heman" is Moses; and "Chalcol" is Joseph (see Rashi on I Kings v. 11). E. G. H. G. B. L.